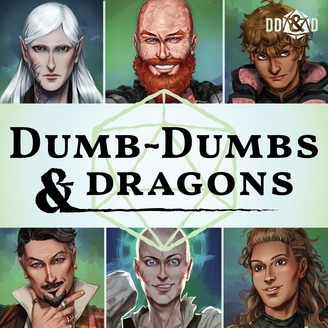 Dumb-Dumbs & Dragons is a podcast where improvisers who’ve never roleplayed before journey into the world of Dungeons & Dragons. 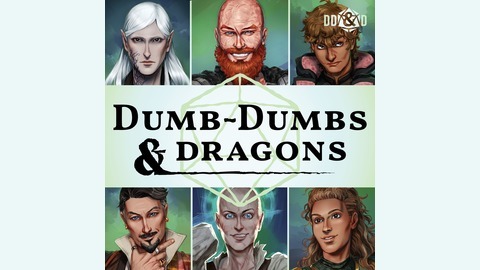 The show is hosted by our dungeon master, Tom McGee, and our regular players: the sneaky Tyler Hewitt, the brilliant Laura Elizabeth, and the flatulent Ryan LaPlante. With special guest comedians joining us on our journey, follow our heroes as they begin their adventures! Please become a hero yourself and support the show's Patreon at www.patreon.com/garbageproductions.